I know I’d love to try it. What do you think? Edit on November 7, 2014: My article above quotes an email from a read above (in italics). I’ve since learned that the correct information for this drink is grape juice NOT grapefruit juice. Thanks! Your Starbucks Mini Library: Must- Have Books. I wished they would do this in our area. Although I would like to see a substitution for the grapefruit juice due to some of us who can’t have grapefruit of any kind due to medicine reactions. Thanks for sharing. This post woke up my British roots (ancestors came from Portland before the Revolution, family fought on both sides, but that is a long story). I would definitely try this. 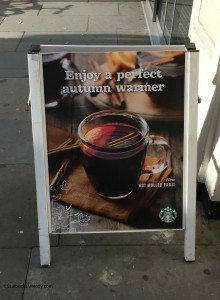 And Starbucks would be wise IMHO to keep Teavana out of the UK (too many twigs 😉 ). From my across the pond knowledge, many like their tea to just be tea so they can add whatever and how much they want. This type of mulled tea is definitely a holiday treat. 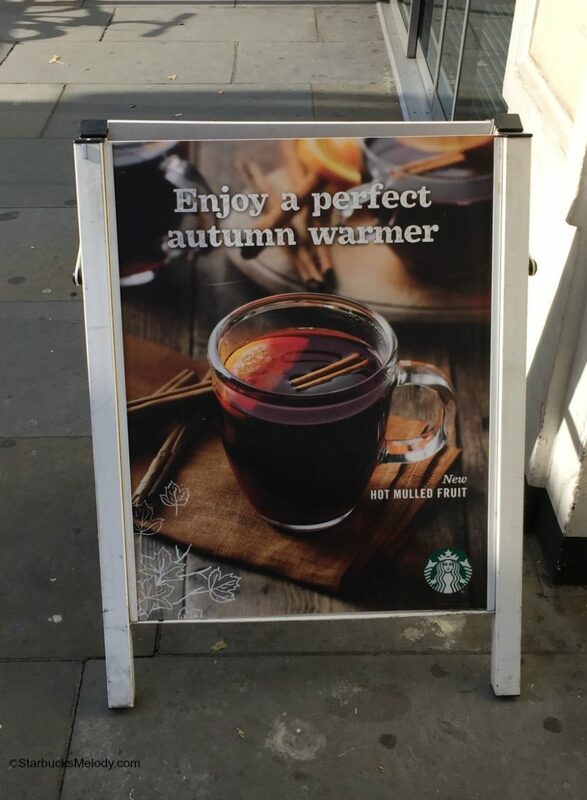 I also tried the red mulled fruit in London in September. I found it quite delicious as well and I cannot wait to see it coming to the Nordic markets where mulled wine called glögg is really popular during the holiday season. However, when I asked the baristas about the drink I think they said it had grape, not grapefruit juice. So it is indeed a non alcoholic mulled wine beverage, and no worries to those who cannot have grapefruit. I wish it was easier to try different drinks offered around the world. I’d love to try that here. Sounds delicious and warming on cold winter days. 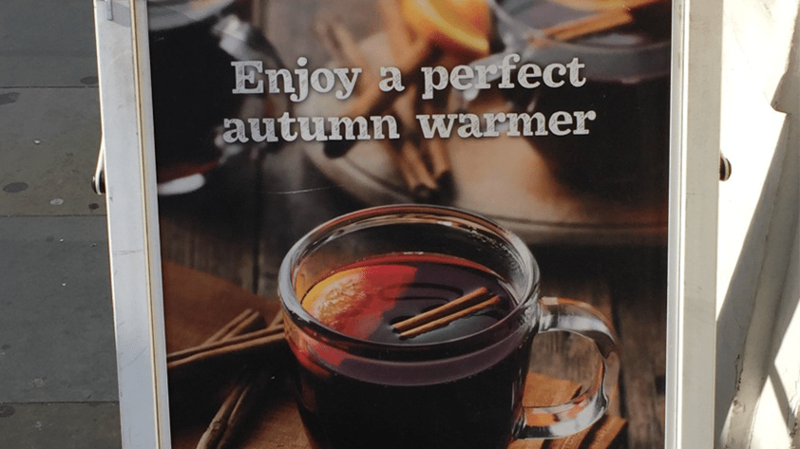 Almost sounds like a nonalcoholic wassail, which I enjoy a lot during the winter months. Hope it’s a successful drink in London that will one day make it to the U.S.
I’d like to see it here. Sounds like a wonderful drink to have while you’re out shopping!